Most readers know that my motto behind Thrifting Central Ga. is thrift for a cause. I have mentioned that two causes close to my heart are The Leukemia and Lymphoma Society and Breast Cancer Research Organizations. The Leukemia and Lymphoma Society, because my sister battled an aggressive form of leukemia in 2014 and 2015. 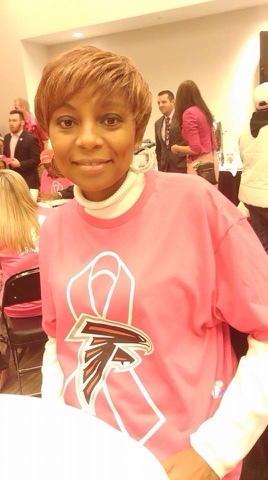 Breast Cancer Research because of my sister in law's long battle with breast cancer. 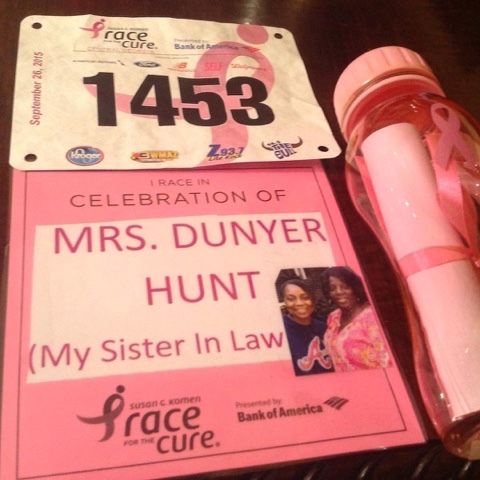 Sadly, today my sister in law Dunyer Hunt lost her brave battle against breast cancer. It was her second bout and the disease which she was initially diagnosed with in 2002, she endured various treatments and it went into remission. We received the heartbreaking news that it came out of remission in 2014 , it was back with a vengeance. This brave lady faced it head on, we saw her have good days and bad days and eventually some really bad days, but she was mighty in battle all the way. My last visit with her was Tuesday January 10th , she sat up threw kisses and thanked us (her mom ) whom my amazing parents made a five hour drive to bring to be with Dunyer .We were all a buzz, the whole room full of family had taken time to drop in to see her)! !Little did we know that less than 24 hours she would suffer a seizure and in 24 more hours she would be gone! May she rest now in a place of no more pain or sickness. We loved Dunyer and are going to truly miss her. Dunyer leaves behind a loving husband ( childhood sweetheart) of 23 years my brother Walter and their two boys, Kelton 19, a second year college student and 14 year old Joshua . 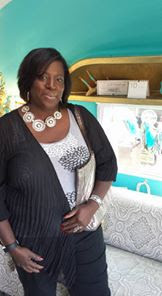 In keeping with my Thrifting Central Georgia motto -#foracause I plan to donate a portion of proceeds from one or more of my future events to Breast Cancer Research, United In Pink etc. Thats amazing Jocelyn i am so proud. Keep up the beautiful work you are doing. We all will miss her and i know that she is in a peaceful place. MY DEEPEST SYMAPTHY to Keith and his boys. So sorry for your loss Jocelyn. Praying for you and your family.